Telcos will continue to face difficulties in fiscal 2018 as well and two of the top three telcos are set to “bleed” due to intense competition triggered after the launch of Reliance Jio, a report said today. “The price war in the Rs. 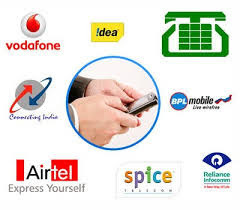 1.5 lakh crore wireless telecom market will continue this fiscal year as well leaving bruised bottom lines,” Crisil’s said in a note. “Two of the top three telecom players will bleed this fiscal,” it added. It attributed the difficulties faced by the sector to the price war for data subscribers, but added market leadership is crucial to the business and if anything, competition will only heat up this year. The note explained that global experiences have shown that the market leader enjoys superior profitability. The report said two of the top three telcos will end last fiscal year with net losses, and this trend is expected to continue in the current fiscal year as well. Since its launch last September offering free services for almost six months, Jio is estimated to have cornered 55 per cent of total data consumption, while the overall data traffic has grown five times in the last one year, it said. “A 60 per cent fall in 4G data prices since launch of Jio has resulted in muted 2 per cent growth in adjusted gross revenue last fiscal year,” the report said. For the current financial year, it sees a muted 0-5 per cent revenue growth for the top telcos, as they seek to protect their subscriber base, it said. It said the picture on profitability is “grimmer” and pre-tax profit margins will drop further by 0.50-1 per cent, in addition to 6 percentage point fall seen for the past fiscal year. It said the proposed merger between the second and the third biggest telcos—Vodafone and Idea Cellular—is aimed at strengthening market position if not leadership, alongside lowering investment needs and costs. What is the Power Grid?